2009 is one of those rare years … when Friday the 13th hits not once, but two times in a row! For those of you who are superstitious, this could be a stressful year for you. But if you surf the web it seems like today is a day of celebration. Or maybe businesses are looking for ANY excuse to have a SALE. If you are in Southern California you are in luck! Live Nation announced a 13 hours sale with concert tickets for $13!!! (plus all of their fees)..
Book a session before midnight today and get half of! Email me what session you’d like before you book. Here at Moria’s Readings you will find Intuitive readings andNumerology reports as well as several healing modalities with certified practitioners in Theta Healing, Chakra balancing,Aura/Energy clearing, Reiki and Matrix Energetics with one of the very few certified Master practitioners. Online retailer is having a Friday the 13th Sale…. We all need our lucky shirt right? 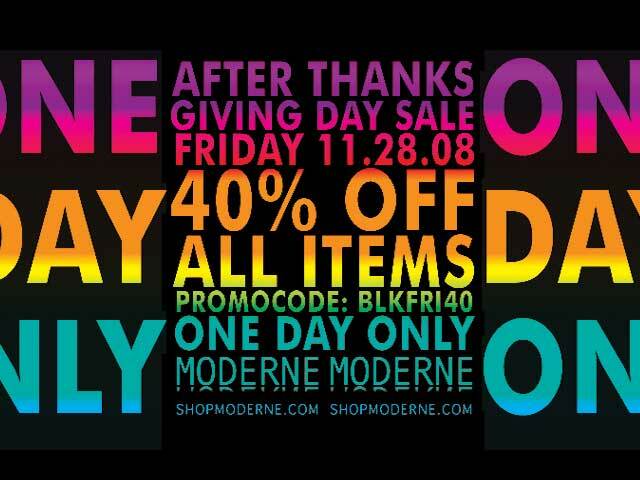 😉 For today only – Moderne has issued an extra 15% off promotion. This promotion works on even sale items – Take a look there are some steals on there! shopmoderne.com has clothing for both men and women. USE PROMO CODE: FRI13 for an extra 15% off. Offer ends at Midnight. Sale has started already ..
40% OFF EVERYTHING ALL WEEKEND LONG FOR WANTITGETIT READERS!! !